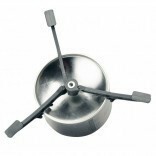 Express Stove Set with its new pot has an effective windscreen that simply clicks onto the stove using powerful magnets. 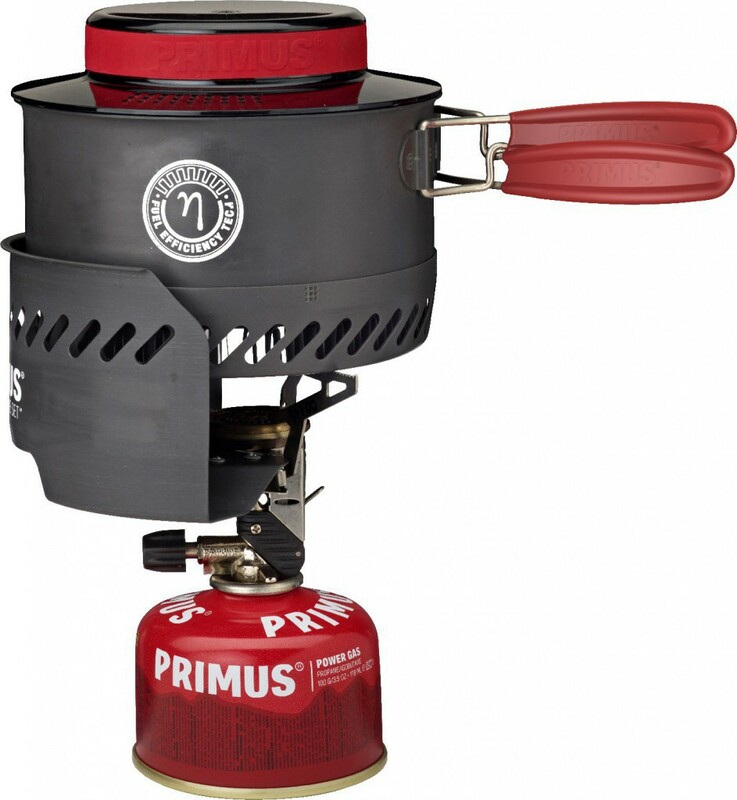 It comes with a 1-litre PrimeTech pot with a heat exchanger and integrated handle. The lid of the pot is made from transparent BPA-free plastic with an integrated colander and grip-friendly silicone. 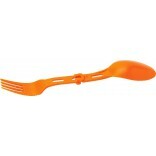 The stove, the included BPA-free plastic bowl and a 100-gram gas cartridge can be packed inside the pot. Gas is not icluded. 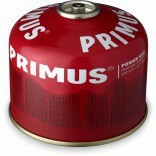 Pot: Hard anodized aluminium with a completely new ceramic non-stick coating on the inside. Compatible with Coleman valve cartridges or Primus. Sold without cartridge. New and even more efficient windscreen that simply clicks onto the stove using powerful magnets. Comes with a 1 litrre Eta pot with a heat exchanger, which has been given a completely new design and is now lower. The lid of the pot is made from tranparent BPA-free plastic with an integrated colander and grip-friendly silicone.